“Looking for the steps? Well, you found ‘em!” He spoke with a drawl, each word sounding longer than it actually is. He was trying to do a Deep South accent, but his Scottishness was way too strong. He had a handlebar moustache, baggy shorts, and wore his hairy bare chest with pride. The last thing I expected to find at the top of some cliffs, 8 miles from Wick, was a guy who modeled himself on some sort of 1970s American B-movie star. 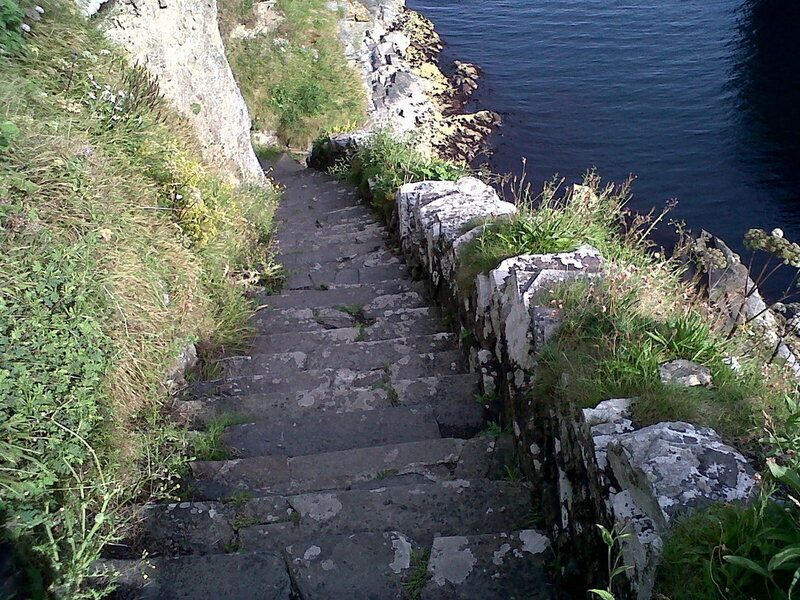 This was the Whaligoe Steps, which were once used to carry fish up from the harbour below. “There are 365 steps, one for every day of the year,” he now sounded more Glasgow than Louisiana. “It’s called whaligoe ‘cause whales got washed up dead and folks carried the meat up the steps.” I later read that Whaligoe is a combination of whale and geo, which means inlet in the Old Norse language. It took me four attempts of cycling back and forth on the same stretch of road to find the steps. They are probably the most difficult visitor attraction to locate in Scotland. According to my guest house owners the council refuses to put up a sign because they are looked after by volunteers and are considered unsafe. They are beautifully carved stone steps, dating back to the 1790s, and each one differs in size and shape. Most with cracks and bits missing, sea grass sprouting from the gaps. It is steep and the drops severe so I went slowly. A magical secret world revealed itself. Wild flowers carpet the grassy cliff edges and the echo of sea birds mixes with the foaming water. There was a waterfall tinkling over the cliff edge. At the bottom there is a grassy area with a ruined building that was once a salt store for curing the fish. A winch for hauling up fishing boats looks comfortable in its retirement- the last boat left in the 1960s. As I made my way back up the steps I came across an odd sight for such a remote place. There was a group of people carrying takeaway coffee cups- American culture really had descended upon this quiet corner of Caithness! They chatted and took sips as if on the way to the office. It turns out that there is a café at the top of the cliff. It has a huge picture window looking out to sea. I ordered an Ethiopian brew and almond and orange cake. I had the place all to myself and stared at that view of peaceful blue with a smooth caramel and fruity taste in my mouth. I thought myself the luckiest person in the world. Had I just found the most special spot in Scotland? The A99 had been a road of treasures with Whaligoe being the shiniest of all. Cycling south out of Wick it was smooth and fast and I reached Thrumster in 15 minutes. Here, there is a preserved railway station. It is the strangest thing to see this dainty wooden building with a section of track to nowhere in front of it and the roar of lorries, campervans and buses behind it. A peek through the window revealed a fireplace, a white wooden panel interior and the original station sign lying on the floor. This was once part of the 13 mile Wick and Lybster Light Railway. In the 20s and 30s it was popular with drinkers travelling to bars along the line to escape prohibition in Wick. Cairn o’Get was my next stop. I parked up and walked about ¾ mile on mushy ground, over some boardwalks and across sheep fields. This is a 5000 year old burial cairn, surviving due to the impressive dry stone construction. The people who made this may not have had proper houses themselves, but the burial cairns were highly skilled constructions built to last. This was a culture where the dead were revered. Archaeologists also discovered offerings like arrowheads and pottery in the cairn. The intriguingly named Hill o’ Many Stanes was just three miles down the road. I parked the bike and trudged through a path of purple heather and then “wow”! I was moved by the scene before me, but found it difficult to figure out why. It was perhaps something about the deliberate layout of the stones in neat rows that made it easy to picture ancient peoples putting them here. They are also different to the stone circles or single standing stones that I have been used to seeing in Scotland- there are more than 200 of these short and stumpy stones. They may have been arranged for religious ceremonies, to follow lunar cycles, or a place for families to remember ancestors, but nobody knows for certain. A couple arrived as I was leaving and I could see a look of wonderment on their faces so I knew I was not the only person to have been captivated by this place. 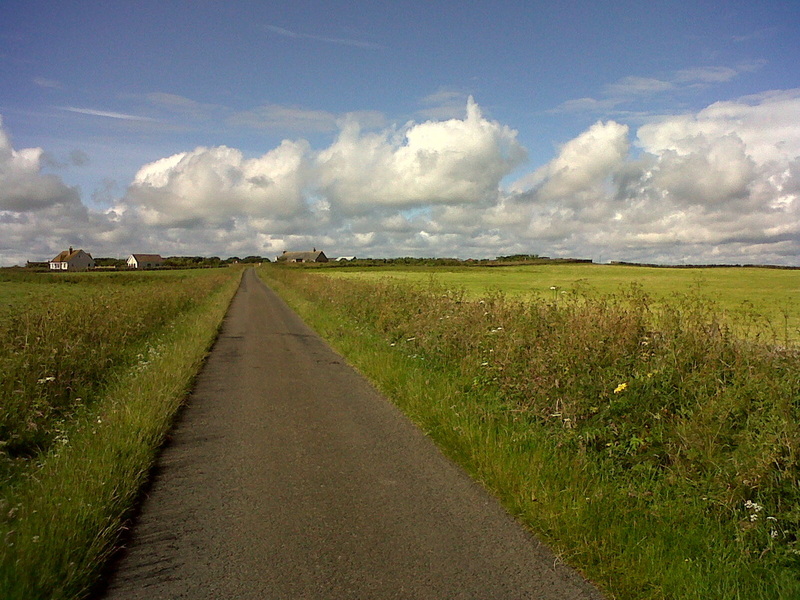 On my return to Wick I experienced the major plus point of cycling on a major road. I had the wind behind me and smooth unblemished tarmac beneath me. I was able to sustain third gear all the way and felt like I was floating along. Normally, A-roads like this would not be wise to cycle on, but I had obtained some local insight from my guest house owners. The A9 splits at Latheron where one section continues to Thurso (the busy bit) and the other section becomes the A99 (the quieter bit) to Wick. This is what persuaded me to explore this road as otherwise I may have given it a wide berth. “It does surprise people how much there is to see and do up here. Everyone says that,” said Alan who runs Impala Guest House with wife Lynne. My morning had begun with scrambled egg, toast with local marmalade and me pouring over maps trying to figure out how I would manage to see as much as possible. Castles, whiskey, lighthouse, standing stones and coastal scenery- Wick and its surroundings had it all. I started with Noss Head lighthouse which is connected to Wick by a single track road that was originally built by unemployed people of the area. I passed Staxigoe Harbour which had once been the largest herring station in Europe. It had a fleet of 50 boats and an army of workers that included sail-makers, gutters and coopers. It was also the first place in Europe to use salt to preserve herring. It is a challenge to picture that heyday when all there is now is a handful of small boats barely bobbing and some picnic tables. Fields stretch off to meet the sea and then the brilliant white lighthouse tower came into view with a streaky blue and white sky behind it. Castle Sinclair Girnigoe is nearby and to reach it I had to dismount and make my way across a field of suspicious sheep watching my every move. One of them had its front legs up on a wall to get at the grass. Once I passed they went back to the important business of chewing. The ruined castle appears to grow out of the cliff face. There are neat vertical lines carved into the rock from years of sea erosion and the tower sits atop this natural wonder. I ducked through a doorway and crossed a foot bridge where the drawbridge had once been. In the courtyard I peered through a window to look far below where the sea swished the rocks. Equally dramatic is Old Wick Castle, 1 mile south of town. Putting castles on precarious cliff edges seems to be a specialty in these parts. This one is just a shell with remnants of a tower. It is believed to be one of the oldest castles in Scotland, dating from 1100. I walked along a jagged coastline that plunges to rocks. I peered down and heard echoing seabird cries. There were no sheep here, but a cat lounging among the grass with its head tilted back and eyes closed against the sun . 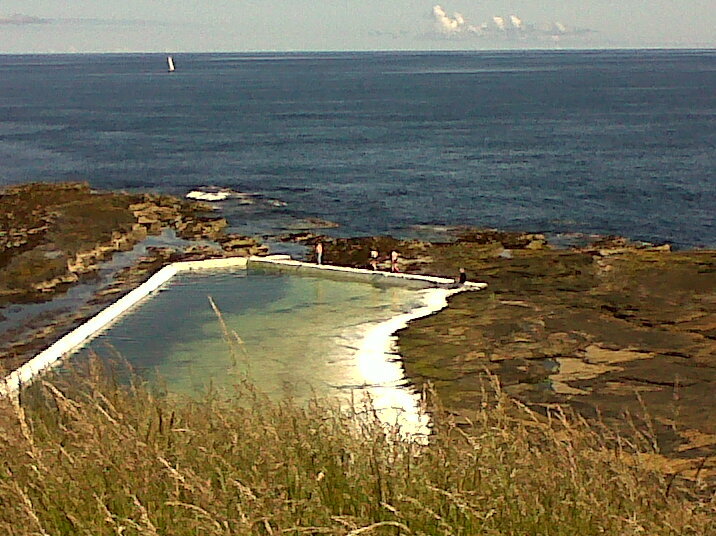 Nearby is something I never expected to see in the north of Scotland- an outdoor swimming pool. It is called the Trinkie and this word is painted on the adjacent rocks. It is the Scottish word for trench and refers to the construction of the pool when it was cut out from an old quary. A group of volunteers called "Friends of the Trinkie" ensure the pool's survival by cleaning and painting it. Several people were sunbathing on the rocks, but there was nobody brave enough to take a dip in the water. It was very tempting to spend the rest of the day here enjoying the peace and rare slice of Scottish summer, but there was much to see in Wick itself. Pulteneytown, with its grid pattern and wide roads, is the best area of Wick to potter about on a bike. Pulteneytown was created through necessity, to cope with the nineteenth century boom time in the fishing industry. The biggest ever catch occurred in a single day in 1864 when 976 boats landed over 24 million herring. It was an extraordinary period of industry and in Wick Heritage Centre I looked at black and white photographs of the harbour crowded with barrels and masts as far as the eye can see. Thomas Telford, Scotland's most famous civil engineer, was commissioned to build Pulteneytown with neat rows of houses for the mass of workers. These workers required motivation and it came aplenty from the Old Pulteney distillery. Back in the day when whisky was a drink for the workers Pultneytown was an obvious place to build a distillery. 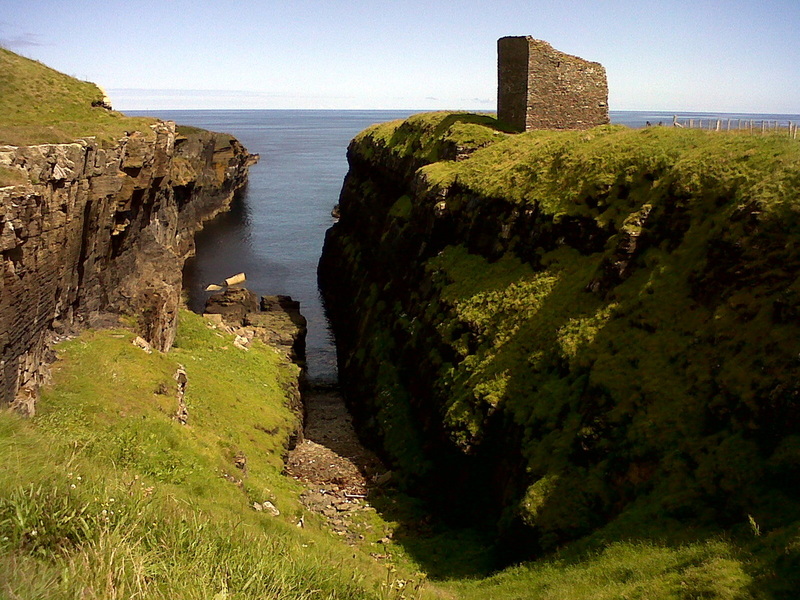 Wick was said to be a supplier of silver (herring) and gold (whisky). Nowadays, Old Pulteney is a sophisticated single malt with the 21-year-old being named the world's best in 2012 by expert Jim Murray. It is the most northerly distillery on Scotland's mainland and the location is reflected in the taste of the drink. During my visit I was given a free dram and tried my best to taste the hint of sea salt that is said to give the drink its maritime character. A whisky is a perfect way to end a day. I returned to the Bed and Breakfast, noticing that my room is called "Whaligoe" and I could not help but picture a chap with a handlebar moustache trying to do a Deep South accent. 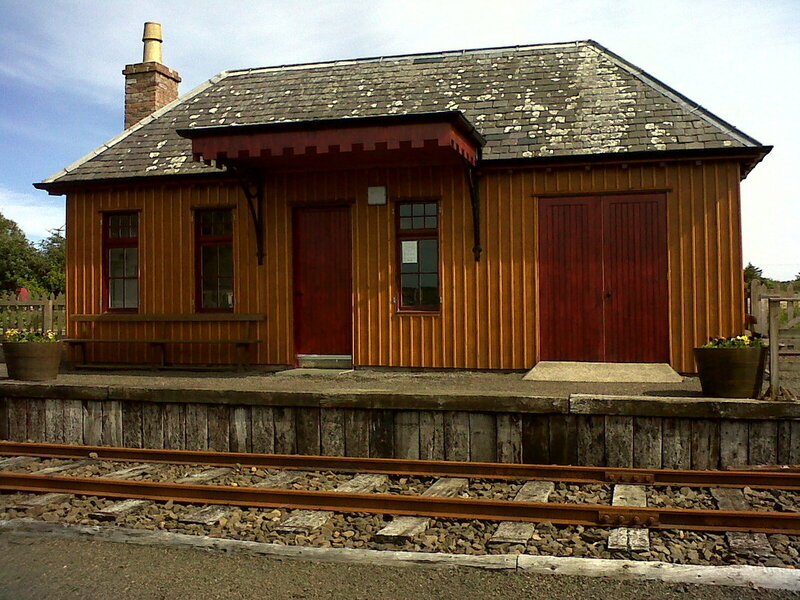 Wick is the last stop on the train line to the north. It takes around 4 hours and 15 minutes from Inverness. Edinburgh to Inverness takes 3.5 to 4 hours by train. London to Inverness is around 8 hours. These are short distances, so it means that there will be plenty of time to spend at all of the attractions mentioned in this article. The roads are mainly flat. The A99 is a major road, but the traffic is relatively light and experienced cyclists will be comfortable. Whaligoe steps are free to visit, but quite difficult to find. This guide is excellent with comprehensive description and photos on how to find them. Cairn o’Get and the Hill o' Many Stanes are free to visit and easily accessed and sign-posted from the A99, although some walking to the sites is required. 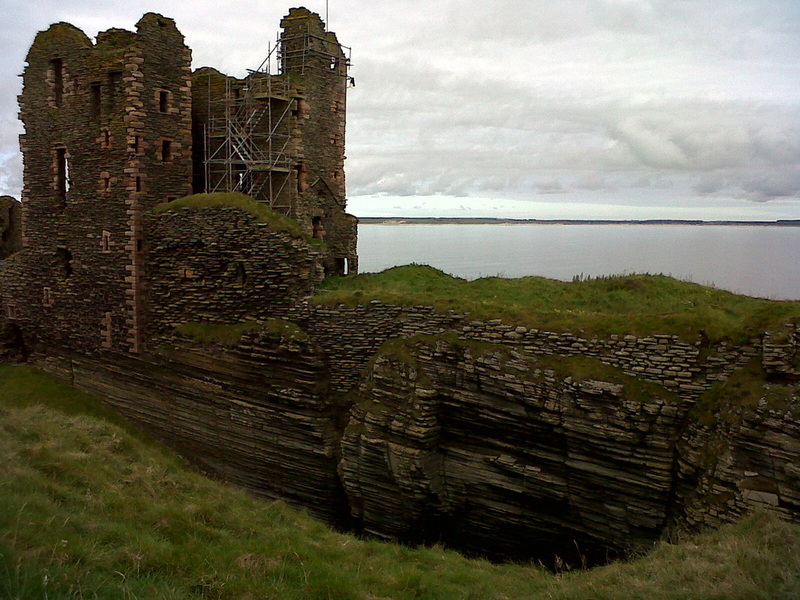 Castle Sinclair Girnigoe and the Castle of Old Wick are free to visit, and both require walking to reach them once the road ends and you can cycle no more. Wick Heritage Museum is fascinating and you could easily spend two or more hours here. It is crammed full of interesting exhibits and is highly rated on Tripadvisor and in guidebooks. There is an art gallery, school room and fish curing yard and many unexpected snippets of information. My favourite exhibit was the moustache cup, invented in the 1860s, featuring a ledge that kept one's facial hair dry when drinking tea (see the photo, below)! Old Pulteney distillery has a small visitor centre and shop which are free to visit. There are also guided tours which have a charge. I stayed at the Impala Bed and Breakfast which is good value with friendly and helpful owners who gave me lots of information about what to see and do. They even drove me into town when I went for dinner, to save my cycling legs from the walk. It is located in a modern house, not too far from the centre of Wick. The rooms are comfortable and very quiet so ideal for a good sleep after a long cycle. 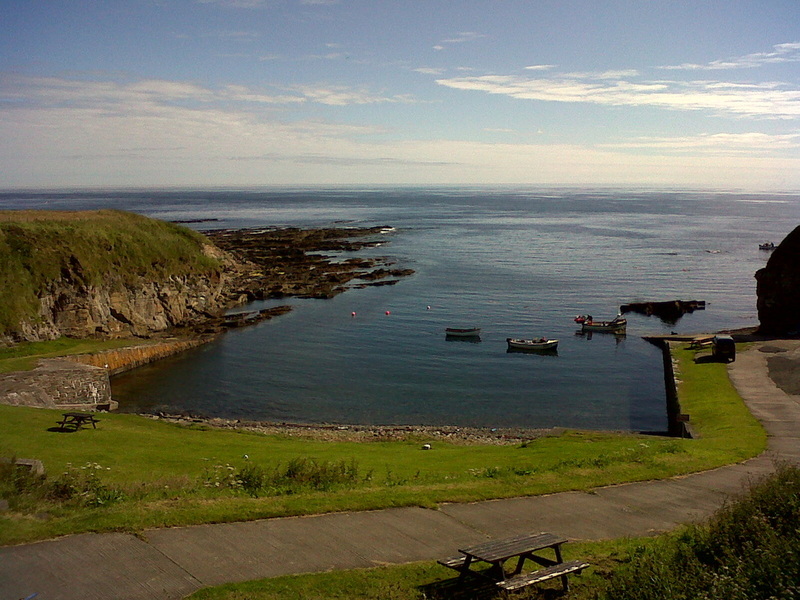 The café at Whaligoe steps is a must. 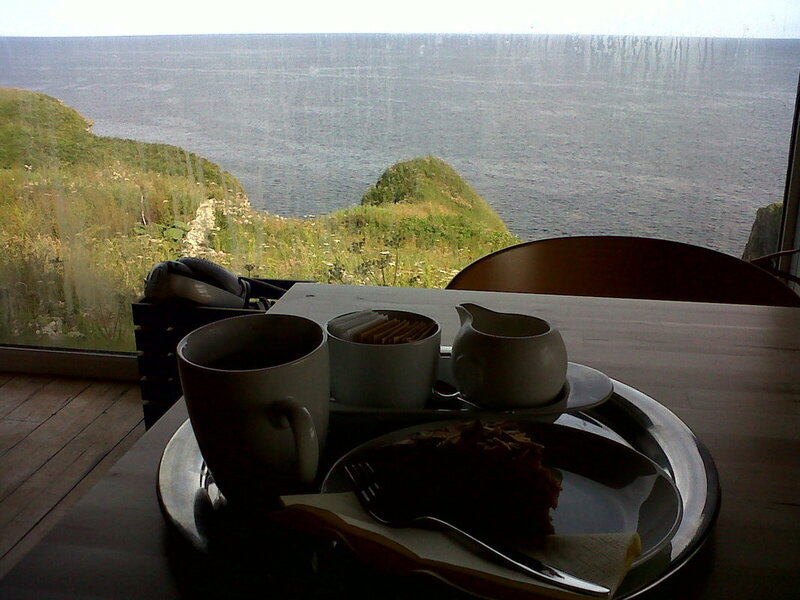 Not only for the views over the cliff edge, but the tasty cakes, homemade ice cream and coffee. The extensive menu features Mezze dishes with Middle East, Italian and Scottish influences. This includes Olive tapenade, baba ganoush and smoked salmon with oatcakes. Spice Tandoori (2, The Shore) near Wick's harbour is excellent. During my visit I tried the house special- pallack chicken tikka- which was tender and thankfully not overloaded with heat. Scots love Indian food and most towns that I have visited always have a restaurant, no matter how far or remote it might be from the Indian subcontinent.